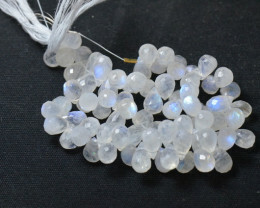 Parcel Lot of 20 - 11mm to 15.5mm gemstone briolettes Classic facet cut. 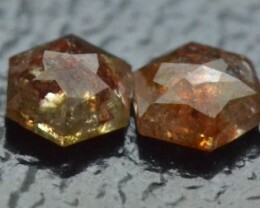 About $2 per briolette. 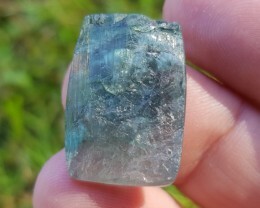 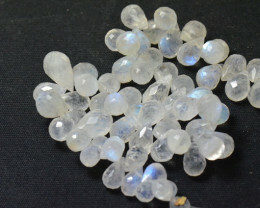 Lovely blue hue - the larger ones are transluscent and the smaller ones have some visible inclusions which add to their beauty and character. 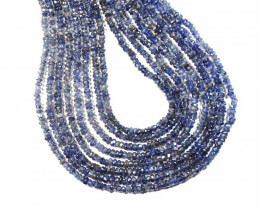 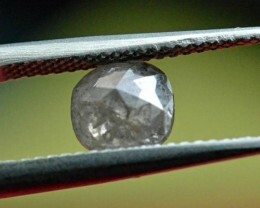 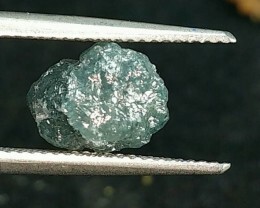 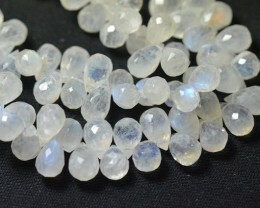 100% organic and untreated gemstones. 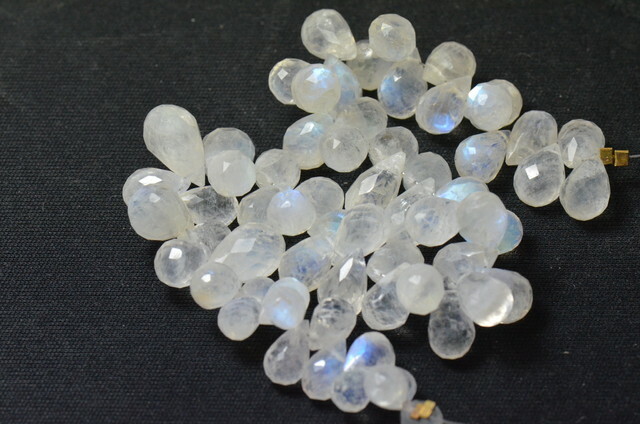 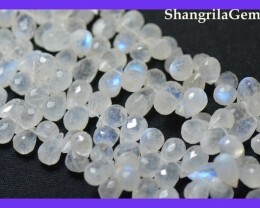 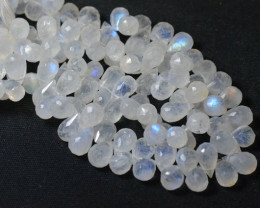 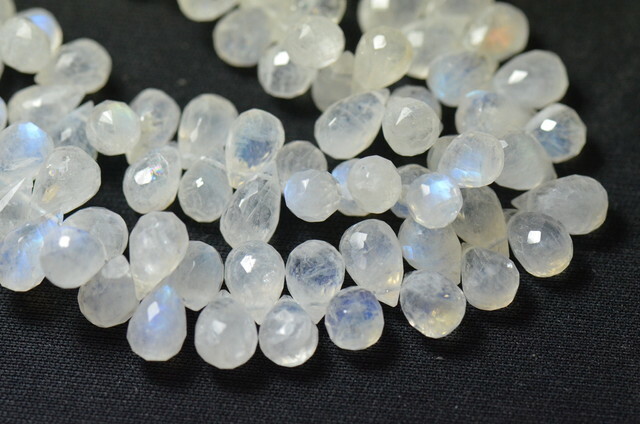 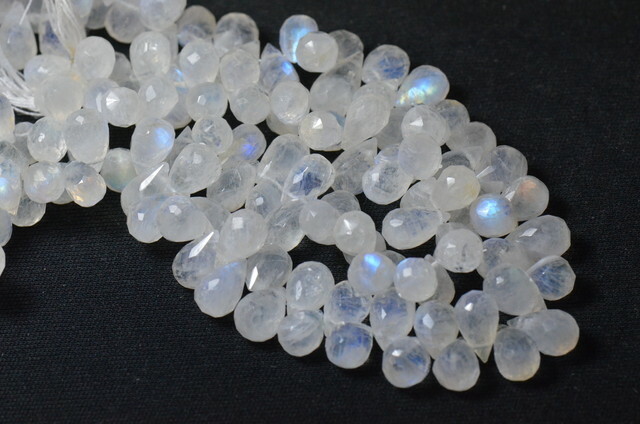 Our rainbow moonstones all have the best luster and multi-colored rainbow hue. 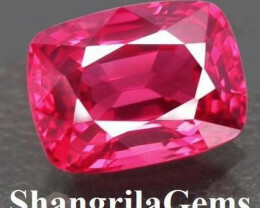 All the gems are photographed without flash and are not enhanced. 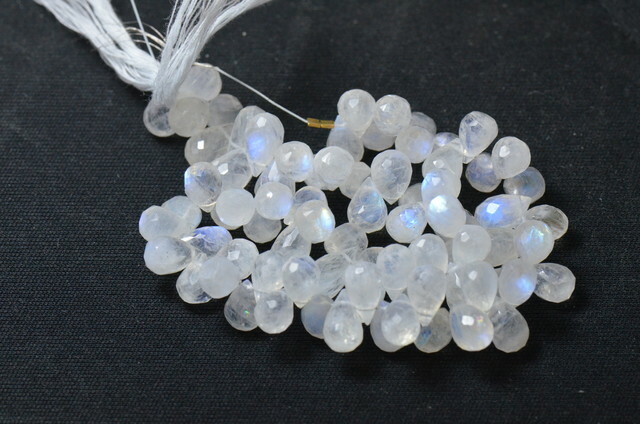 From India, we hand select them from thousands offered to us.